For 2017, Bajaj Auto has updated its entire range of Pulsar motorcycles - with updated engines meeting new Bharat Stage IV emission norms and the automatic headlamp on (AHO) function. 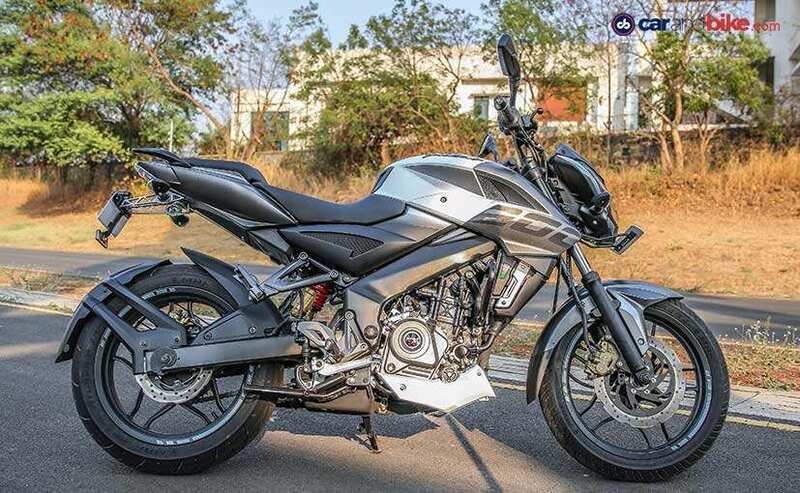 And along with some minor design tweaks here and there for the entire range, Bajaj has also re-launched its popular naked street, the Bajaj Pulsar NS200. We say re-launched, because the Pulsar 200NS (yes, it was called that earlier) had a run for about three years in the market, from the time it was first launched in 2012 to 2015. 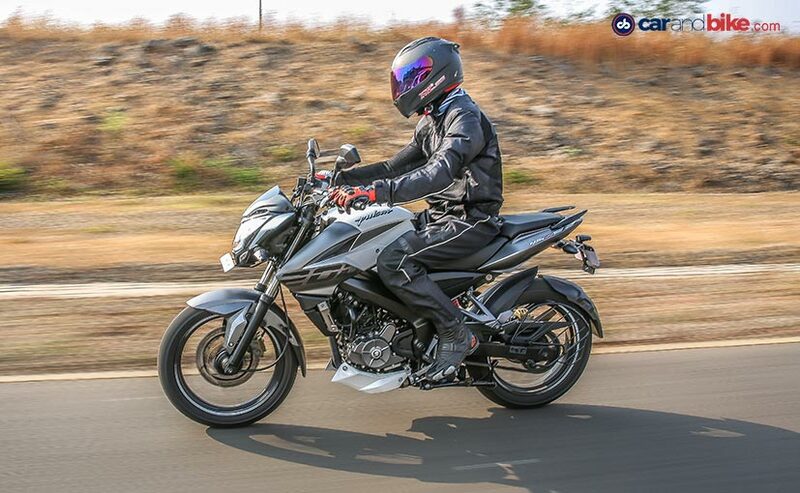 Just when it was starting to become popular among the performance seeking crowd, the bike was discontinued in 2015, making way for the Bajaj Pulsar AS200. Now, it's come full circle; the Pulsar NS200 will now replace the AS200 which hasn't seen much success in the market anyway. In a way, it's an attempt to grab a slice of the rapidly growing entry-level performance bike market, which has seen over 50 per cent growth in the past one year alone. Apart from the updates to meet BS IV emission norms, the engine remains the same, the overall silhouette remains the same, although there are a few minor aesthetic changes to differentiate it from the earlier Pulsar 200NS. And yes, the name has been flipped to Pulsar NS200 now, to go with the nomenclature of the likes of the RS200. Cosmetic changes include new colour schemes, new decals with the '200' displayed in a new font and some matte bits on the tank extension panels. The NS200 is available in three new colours - Graphite Black, Mirage White and Wild Red, and gets a belly pan which underscores the bike's streetfighter appeal. Apart from the updates to meet BS IV norms, the single-cylinder, liquid-cooled engine remains largely unchanged. Power and torque are identical to the earlier model at 23.5 bhp at 9,500 rpm and 18.3 Nm at 8,000 rpm. The engine is rev-happy and gives the bike an entertaining personality and a wide powerband. 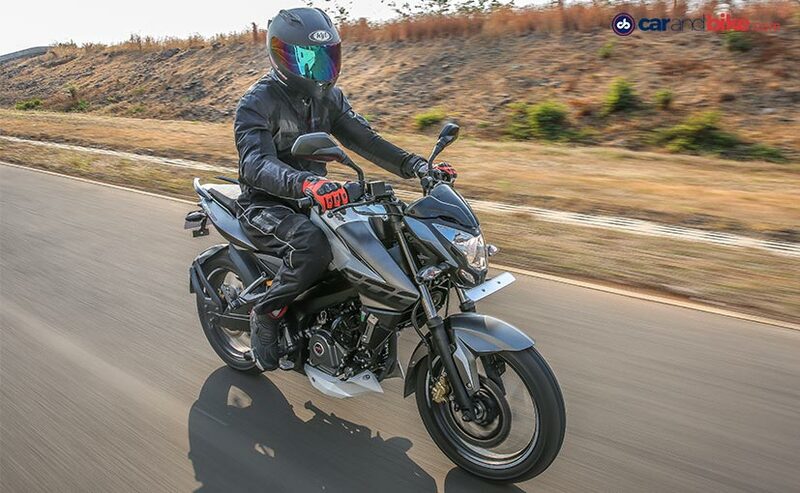 The engine redlines effortlessly through the six-speed gearbox and we managed to hit a maximum speed of 128 kmph at Bajaj's test track in Chakan. The riding position is sporty and aggressive, with rear-set footpegs, and knees grabbing the sculpted tank. Handling is the NS200's forte - the bike retains its poise and composure even when leaned out into a corner, and the MRF Zapper tyres offer confident grip in the dry. The suspension is on the stiffer side, but it complements the bike's handling, and overall ride quality, at least on the test track is quite good. The Pulsar NS200 gets more hi-tech bits like fuel injection and anti-lock brakes (ABS) for the export version, but sadly, for the domestic market, it doesn't get either. 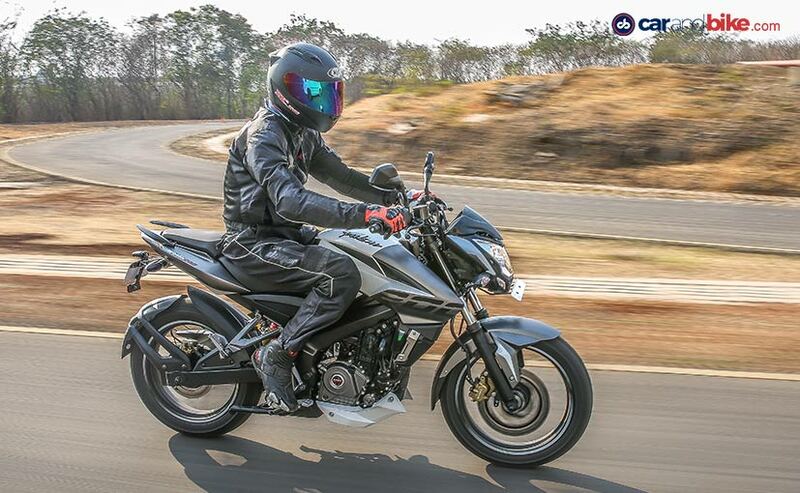 Is it the best handling and best-equipped Pulsar? No, those descriptions we would reserve for the Bajaj Pulsar RS 200, which also gets ABS and fuel-injection. But then, the RS200 is also quite a bit more expensive than the NS200. At Rs 96,453 (ex-showroom Delhi), the Pulsar NS200 is very attractively priced and competes with the likes of the TVS Apache RTR 2004V and the Yamaha FZ25. 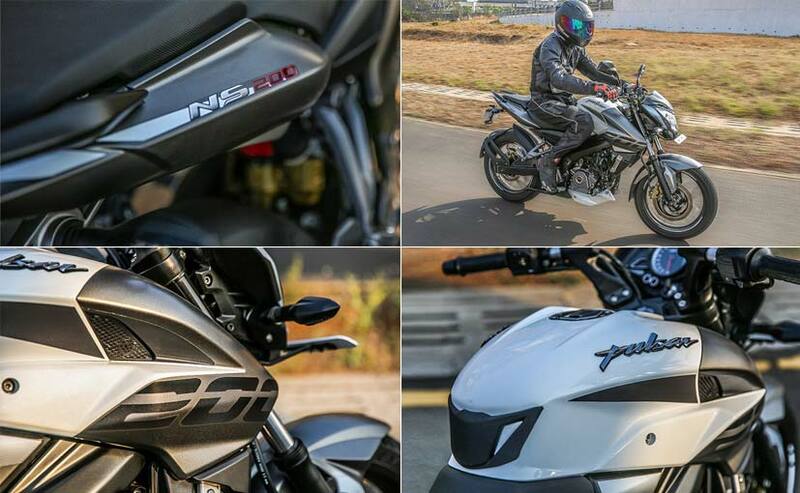 It may not be a brand new model, but the updates certainly lend the Pulsar NS200 fresh appeal and the promise of an entertaining package on two wheels for the entry-level performance junkie.